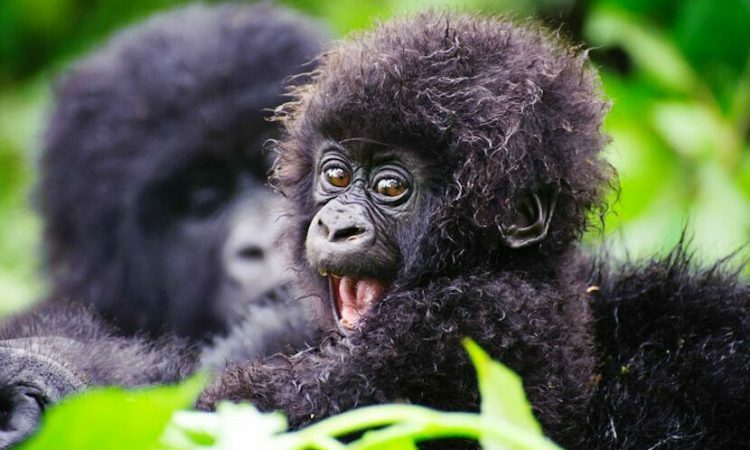 The 3 Days (2 Nights) gorilla safari takes you to Bwindi Impenetrable forest, a UNSECO heritage site home to over half the world’s population of mountain gorillas and a variety of other primates and bird species. Our tour guide will pick you up from your hotel/ residence as early as 6 am and drive you to Bwindi national park. Enroute stop over at Equator for some pictures, refreshment and chance to visit nearby African craft shops. Proceed your journey passing via Mbarara and Kabale towns where you will enjoy great views of the vast grazing lands, terraced farms, large arces of banana plantations, pine forests, swamps plus the rare Long horned cattle and the locals as they go about their business. Enjoy lunch in Mbarara town before proceeding to the park. Enjoy an early morning breakfast and thereafter head to the park headquarters for briefing about the the do’s and dont’s during the trek, before and when you meet the gorillas. Make sure that you carry enough water plus your packed lunch for the whole duration you will be in the forest. Please note that Gorilla tracking is not just an easy joy ride, some parts of the forest are slippery, others quite high and sometimes there is rain fall, so you need to be fit and ready for the adventure. Meeting the gorillas face to face is worth the hassle you go through to get to them. You are only given an hour in their midst , take some pictures as you observe them feed, play and interact with each. Track back to extraction point where you find our guide waiting to drive you to the lodge/ camp for dinner and overnight stay. After a morning breakfast, check out of the lodge and prepare for your joueny back to Kampala/ Airport. Enroute stop over in Mbarara town where you will visit the Igongo cultural center to learn about the culture and history of the Ankole kingdom plus get chance to buy a some local crafts to take home as sourvenirs. Proceed to Kampala ending the trip.